Dekk Rubber Tracks & Pads are suppliers of premium, quality designed and manufactured Rubber Tracks and Rubber Pads for superior performance, extended work life and all at a competitive price. Our extensive range of rubber tracks & pads are available for distribution Australia wide through our warehouse and sales facilities located in Western Australia, New South Wales and Queensland and the Dekk Dealer network which includes companies such as Fortus, Forecast Machinery, Kelton Rentals and Ram Equipment. 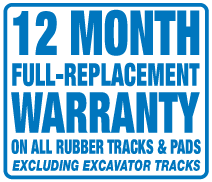 With the added benefit of warehousing large quantities of stock on hand at our premises, we can ensure our customers that we’ll despatch your rubber tracks & pads, the same day, anywhere in Australia. 1.Heavy duty rubber compounds for greater flexibility and wear resistance. 2.Large range of tread patterns, designed for improved traction. 3.Precision fitted steel core bars for maximum strength and reduced risk of detracking. 4.High strength, high tensile, continuously wound steel cables to prevent corrosion and provide greater strength and durability. And remember, if you find an identical rubber track or rubber pad for less, we’ll beat it by 5%. 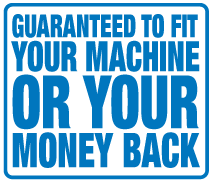 That’s our price guarantee to you. Dekk has an experienced and dedicated team of professionals, who can provide extensive technical and product knowledge on all areas of rubber tracks and rubber pads, to determine the right track or pad to suit your machine and application. The Dekk team can be contacted for sales and technical support by email, telephone, sms, a site visit from our team or you can drop in at one of our branches and speak to our customer support team in person. In addition, if you have any queries you need answered you may find them in our FAQ (Frequently Asked Question’s) page. 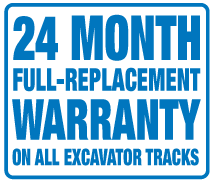 DEKK Rubber Tracks & Pads have been designed and manufactured to meet strict quality and design requirements and are guaranteed to fit your machine no matter what make or model of excavator, skid steer or crawler carrier you have or your money back. With a wide range of rubber tracks and pads to choose from including block, multi-bar & offset pattern rubber tracks and clip-on, bolt-on and chain-on rubber pads, you’ll have no problem finding the right rubber track or pad to suit your requirements. 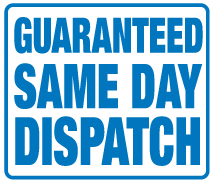 DEKK offers same day dispatch for your rubber tracks & pads to any location in Australia. All you need to do is ensure your orders are placed before 3pm AEST, Monday to Friday during business operating hours. If you need any special requests for packaging or delivery with your orders our customer support team will be more than happy to assist.